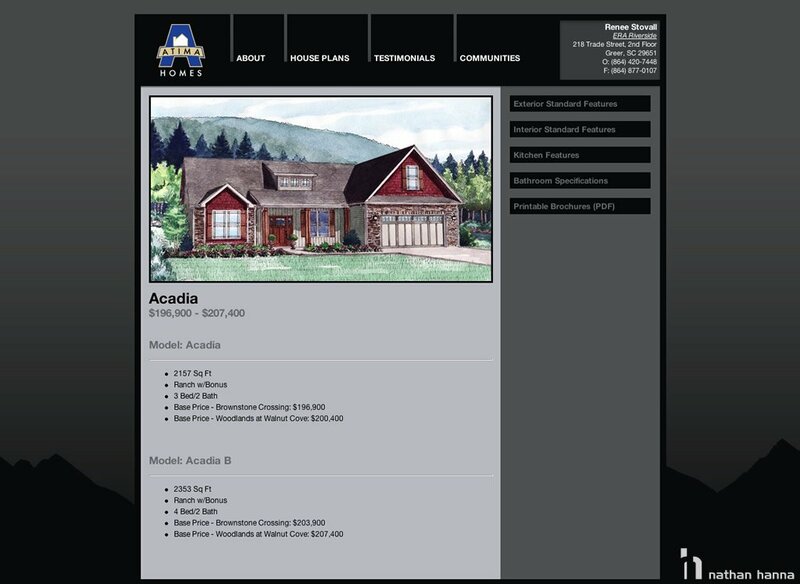 This was a custom designed website for a small home builder in Greenville, SC. 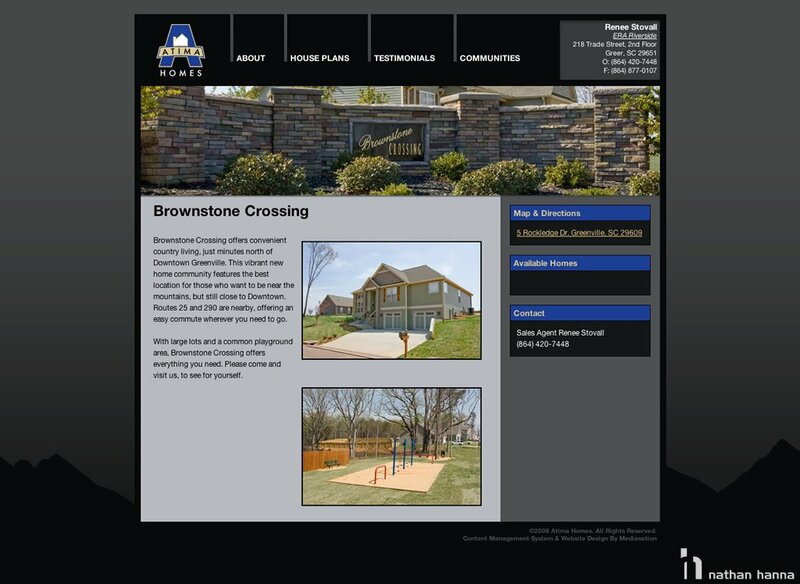 The goal of the site was to reach out to younger home buyers. 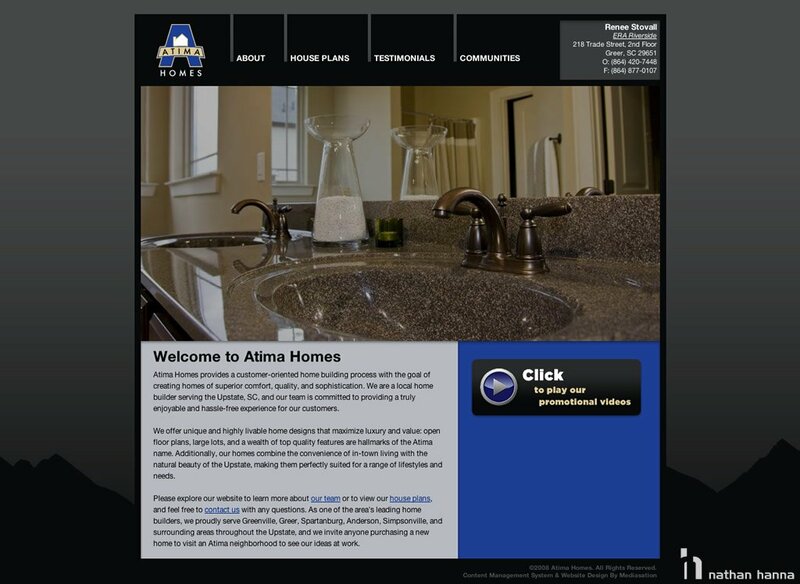 Additionally, we aimed provide an interactive way to learn about each unique home model and floor plan offered by Atima.